PV Sindhu and HS Prannoy stormed into the semi-finals of the French Open Super Series as they blew apart their opponents. 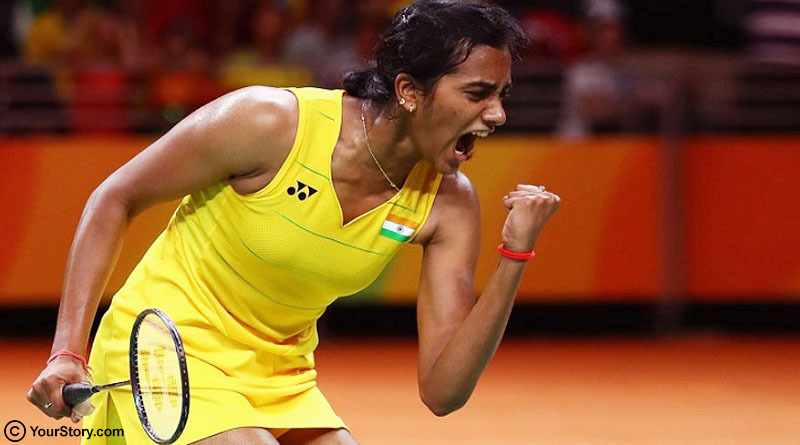 India’s PV Sindhu decimated Chen Yufei of China in straight sets to enter the women’s singles semi-final at the French Open Super Series on Friday. She won 21-14, 21-14 to enter her maiden French Open semi-final in just 41 minutes. Prannoy defeated Jeon Hyeok Jin 21-16, 21-16 in the men’s quarter-finals to seal a berth in the last four. Sindhu was in fine form as she used her long reach and lightening quick court coverage to get the better of a tough opponent. A below-par Yufei had no reply to Sindhu’s game and was never able to make any impact on the match as she committed unforced errors after error. She played some tantalising deft drop shots and down the line and cross court smashes to smash Yufei all over the court and race to victory in the quarter-finals. With this the second seeded Sindhu leads Yufei 3-2 in the 5 matches contested between the two. She will now play the winner of the quarter-final between third seed Sung Ji Hyun of Korea and Japanese fifth seed Akane Yamaguchi which will be played tomorrow. In the later match of the day HS Prannoy defeated South Korean Jeon Hyeok Jin 21-16, 21-16 in 47 minutes to enter the men’s singles semi-finals. Prannoy dominated the first game of the match and despite a fight back by Hyeok in the second, Prannoy hung on to win in straight sets. This was his first victory in two meetings against the South Korean. He will next face the winner of the match between Kidambi Srikanth and Shi Yuqi of China. The men’s double was a different story for India as Danish second seeds Mathias Boe and Carsten Mogensen defeated Indian pair of Satwiksairaj Rankireddy and Chirag Shetty 21-5, 17-21, 21-17.